Do you like paint? 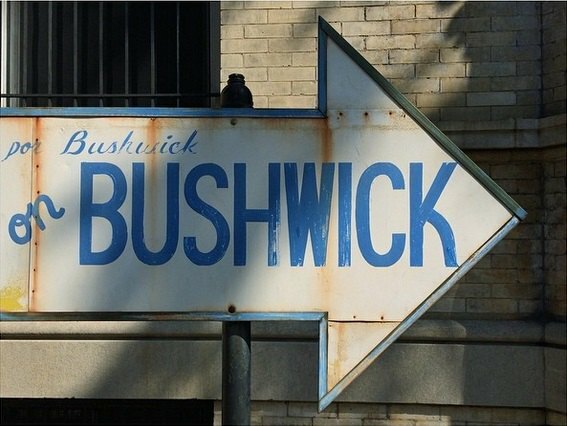 Of course you do, you live in [or you live near or you love] Bushwick! It's no surprise that virtually everything in our art-centric neighborhood is covered in the stuff. You'll find interesting paint jobs on buildings and streets and cars everywhere you look around here. Last week Suzi Sadler set out to capture some interesting uses of paint in her surroundings. Some of it is decorative and intentional; some of it is obviously an addition to an original paint job. Is it graffiti or is it art or is it both or is it something else? You decide! Just scroll down for a sample and then make sure to head over to our Instagram page to check the rest out and join in the debate! Tim Waltman, a freelance interior and event photographer and graduate of the Antonelli Institute of Photography, is taking over our Insta account this week! His concept is "Direction." He's exploring direction in every sense of the word. Up, down, left, right, moving forward, leading lines - all visually displayed through photos. Tim has already posted some incredible stuff and we can't wait to see more! Are you our next Insta-Takeover photographer? Just fill out the super easy Insta-application HERE!